Is Steve Carell's daughter a future entrepreneur? 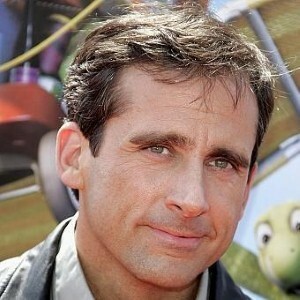 Home » Dad » Is Steve Carell’s daughter a future entrepreneur? Is Steve Carell’s daughter a future entrepreneur? Funnyman Steve Carell recently got an education in Hollywood-style entrepreneurship when his 8-year-old daughter Elisabeth set up a lemonade stand in front of their house. Appearing on The Jay Leno Show recently, the actor recounted what he called a "traumatic experience" in a way only a true comedian can. It turns out fellow-actor and country-crooner Billy Ray Cyrus stopped by and paid $20 for a cup of the homemade drink. Then, the paparazzi who was following him became customers. The Los Angeles police department even got in on the action. "And then the police who were called to chase away the paparazzi circled back and bought lemonade!" said Carell. The actor says the experience is making Elisabeth consider a career in lemonade, a possibility he calls "insane." Carell stars in NBC’s hit comedy The Office. He’s also known for movie roles in Bruce Almighty, The 40 Year Old Virgin, Little Miss Sunshine and Get Smart. He and his wife, Nancy Walls, also have a 5-year-old son, John.